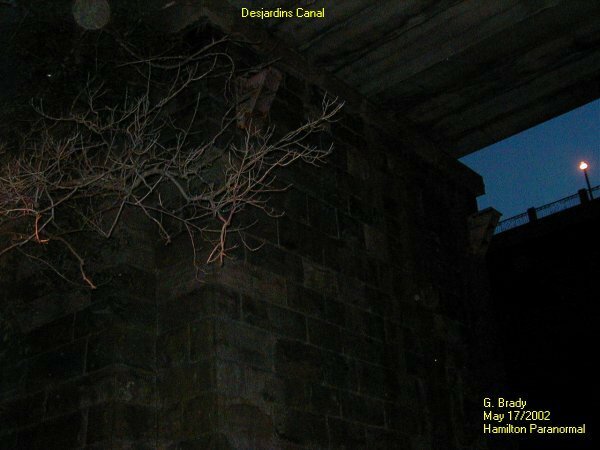 Today the Desjardens Canal waterway is a narrow canal that runs through Burlington Heights from the Hamilton Harbor to Cootes Paradise. 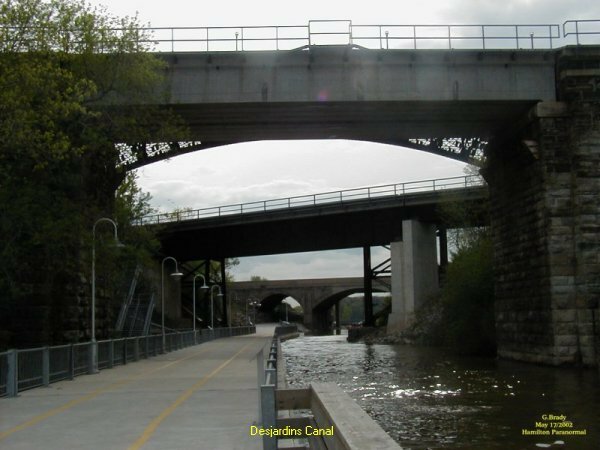 Hamilton put in a new walkway from Bay 4 park that runs along the side of the canal where folks can ride, jog, roller blade or just take a leisurely walk beside the canal to Princess Point. Back in the year of 1857 there were many boat houses that lined the Cootes Paradise area by the canal. Also there were some homes up on York BLVD. by the high level bridge that crosses the Canal today. 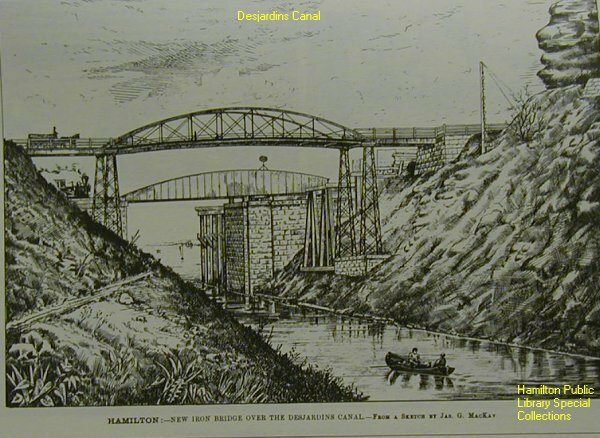 On March 12, in the year of 1857 a major rail accident occurred at the canal that would leave it's mark as one of the worst rail disaster in the history of the Hamilton area. The doomed railway train came in from Toronto and was due in Hamilton for 6:15pm. 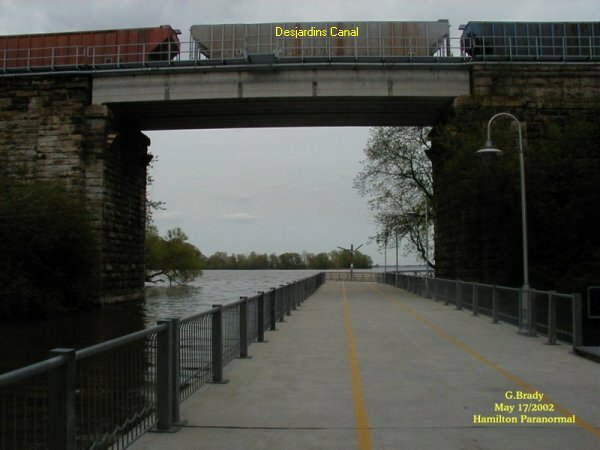 The train came up to the railway trestle (AKA a swing bridge) that crossed the DesJardins Canal at about 5:49 p.m. The canal was frozen with ice that was about two feet in thickness. The bridge itself sat about 60 feet above the frozen canal. Reported by the "Frank Leslie's Illustrated Newspaper April 4, 1857"
"Watching the train approaching the bridge was a poor woman that resided in a house by the canal. She had reported after the accident that while she watched the train approach the bridge from her window, that it appeared to her as if the train swayed to one side then all of a sudden there was no train to be seen." Once the train went to cross the bridge the weight of the train crashed through the timbers that made up the bridge. The engine of the train was the first to fall into the canal below, followed by the tender, baggage car and 2 first class passenger cars. The Engine and tender car were crushed at once when the two cars hit the ice. The baggage car had hit the corner of the tender car causing it to be thrown some 10 yards away. Next was the 1st passenger car to go into the canal. It spun downward, coming to rest on it's roof, partly breaking through the ice, crushing the coach to atoms. The 2nd passenger car fell end ways and it remained in that position upon impact. There was a total of 90 passengers on the train and only about 20 some odd survived the accident. 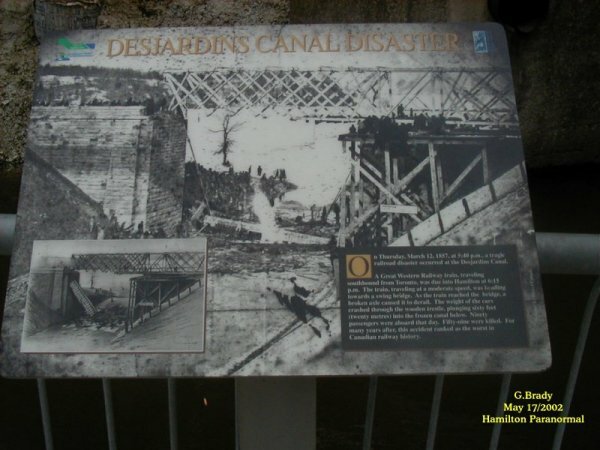 It was believed that the passengers that were in the first car were killed by being crushed to death or by drowning in the frigid water of the canal. In the second passenger car there were about 30 people. Ten of the passengers that were taken out were crushed to death, while the remainder were badly mutilated. There was also another bridge accident over the canal back in the summer 1874, some 17 years after the Rail Disaster. The high level bridge that was used for wagons to cross had collapsed taking with it two wagons, two teams of horse's and drivers. The drivers and horses never survived the fall. 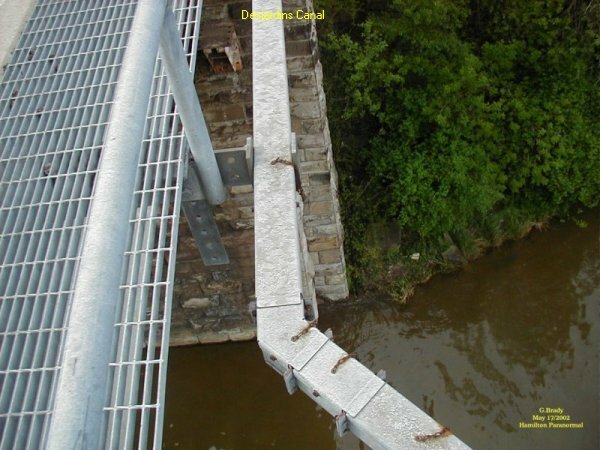 In the above picture you can see the new iron bridge that had replaced the high level bridge that had fallen back in 1874. You can also see the new bridge for the train that was erected after the rail accident of 1857. We had went out to the site to investigate the area. Once we got there the area looked so tranquil. On the walkway by the spot where the great rail disaster took place is the above marker. One can see to this day the walls of the old swing bridge that sit on both sides of the canal and when you reflect back in time when this accident occurred you can almost see how the dead were elevated to the top by ropes that swung over this wall. In the above photo I was standing on top of the bridge giving you a birdseye view of how far the train would have fallen to the canal below. 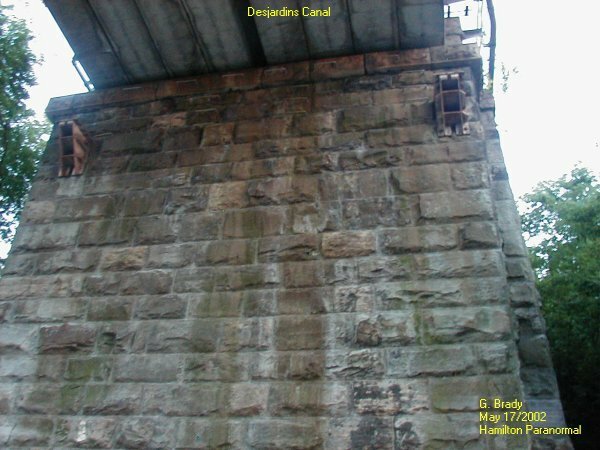 In this photo it gives one a sense of how high the bridge was back in 1857. 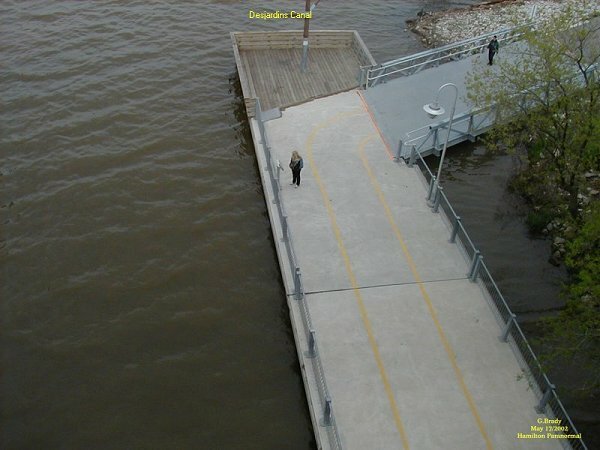 This is a shot of the bridge facing south, showing the distance between the water and the bridge. And no that's not a purplish orb up there. That's a light flare. Another angle shot of the bridge facing north out into the Hamilton Harbor. As night was starting to settle in I took this picture and managed to capture an ORB just to the left, high up under the bridge.